This classy luxurious tapestry comforter set includes everything you need to decorate your bedroom. 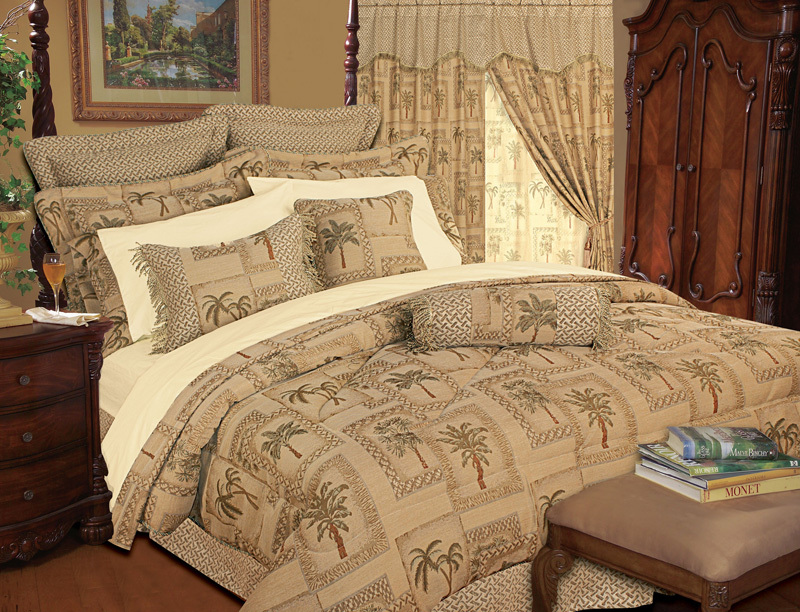 It features tropical palm trees on soft, elegant tapestry fabric.Euro shams in the picture included. Matching curtains available in our store. This classy luxurious tapestry comforter set includes everything you need to decorate your bedroom. It features tropical palm trees on soft, elegant tapestry fabric. Euro shams in the picture included. Matching curtains available.